Or at least Scotland can’t. No one does physical bullying on a rugby pitch quite like the Springboks. No doubt there was a fair bit of soul-searching following the shock defeat to Japan and South Africa seem to have rediscovered their mojo in that regard. Despite picking a team aimed at limiting, if not negating, the power of the opposition (sizeable fellows from one to 15), Scotland came off a distinct second best. You know there is something wrong when Jonny Gray, arguably our best forward since he first took the field against South Africa in 2013, is looking rather ordinary. Although I suppose if you are a South Africa fan, you’d consider that normal service resumed. Japan, when they claimed their historic win against South Africa in round one, refused to be drawn into a battering contest. They went for low tackles and a tactical approach aimed at quickly moving the point of attack away from the contact area. This is what Scotland should have done, not least because it fits with the chaotic, ‘Scottish’ style of rugby Vern Cotter has them trying to play. Even in a game as frustrating as that one, Scotland kept their penalty count to eight, making it single figures for the third game in a row. Compared to the painful disciplinary issues seen in the Six Nations, it’s near miraculous. As we saw on Saturday when an opportunist try and a few quick penalties in our favour took us right back into the game – and even within bonus point range for a brief spell – taking the points when they’re on offer is absolutely crucial in the high-stakes arena of the World Cup. Of course, it wouldn’t be Scotland without a brain implosion of some sort, and also it wouldn’t be Scotland if it didn’t occur at precisely the wrong time. The Tommy Seymour try hauled us back into the match but just four minutes later Greig Laidlaw took down Bryan Habana off the ball and was yellow-carded. Then David Denton gave away a couple of quick soft penalties and suddenly Handre Pollard was allowed to stretch the lead back out. Scotland never looked in it after that. Despite all the upsets, bonus points and shifting positions in the table, it all comes back to what everyone said it would: Scotland versus Samoa will decide Scotland’s fate. 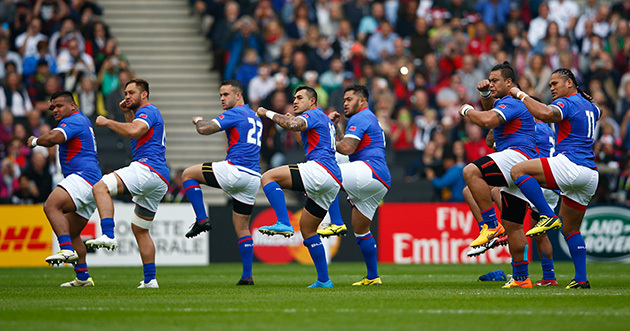 Of course, it was originally meant to be a winner-takes-all clash, but nobody told Eddie Jones and his men, so Samoa now find themselves with little to play for except pride. That in itself could be a dangerous situation for Scotland to find themselves in, with a vast swathe of Samoan, Japanese and more than likely most neutrals (especially those of a romantic nature) willing the Brave Blossoms adventure to continue. Cotter’s ability to restore his first choice XV should help Scotland to play in a more comfortable style and hopefully not try to outmuscle Samoa. 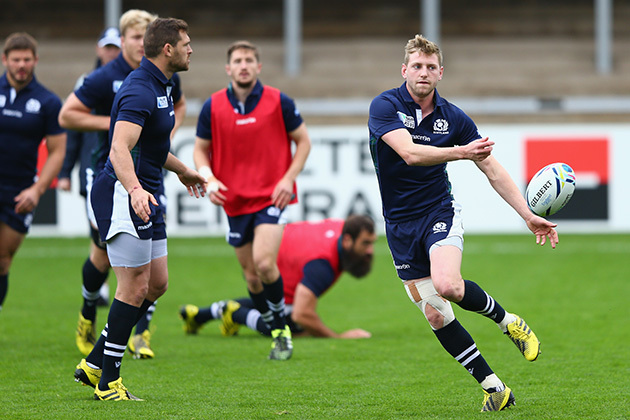 A looser attacking game would play into the hands of Stuart Hogg, Mark Bennett and Finn Russell – assuming they are all fit and healthy. 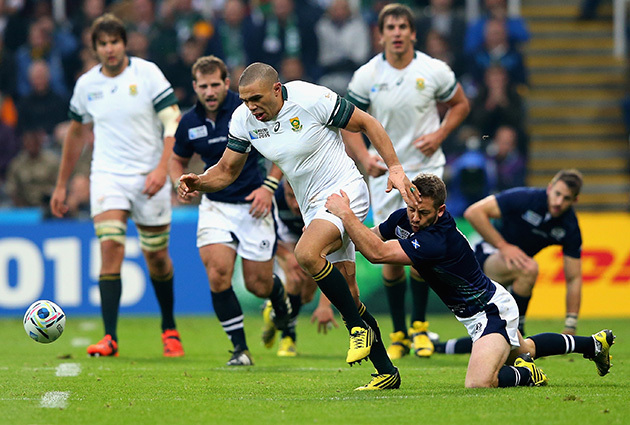 Several forwards will be looking to make amends for ineffectual running against South Africa with big games and John Hardie should be passed fit from his head knock to give us a bit more at the breakdown. Matt Scott and Ross Ford have their own concussion protocols to deal with and, although Fraser Brown did enough to retain the No 2 shirt in any case, Scott would be a loss. Fitness and discipline should see us through this one, but we can only hope the Scotland team take nothing for granted. Teams doing that haven’t done too well so far in this most absorbing of Rugby World Cups.